Food writer Molly Wizenberg pulled off the ultimate romantic picnic. She held her wedding rehearsal dinner in a park next to a picturesque red barn, served homemade pickles and well-loved dishes, and adorned each picnic table with a jar of wildflowers. Your romantic picnic will likely be for two, not a crowd of guests, but you can borrow a page from Molly by choosing favorite foods, a gorgeous setting and romantic accoutrements. 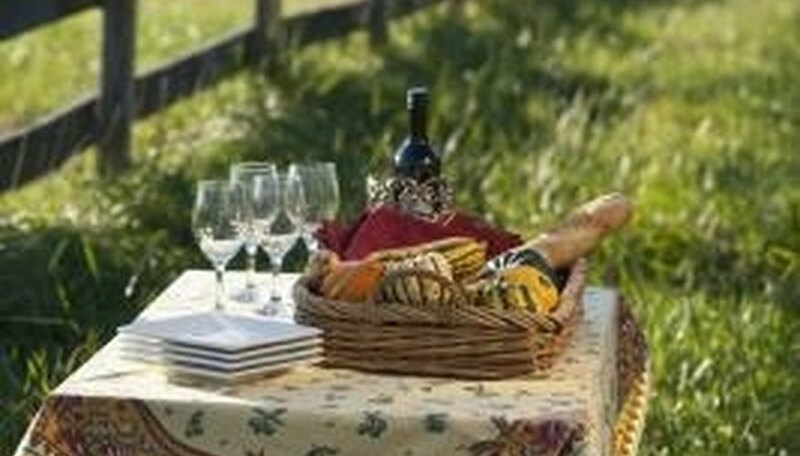 Choose a picturesque setting for your romantic picnic. Romantic food draws upon happy memories of eating together. If you and your picnic partner love to share gourmet delicacies, start your meal with easy-to-eat but elevated fare, such as artisan cheeses, a crusty baguette and fresh seasonal fruit. Sandwiches, an ideal picnic food, take on a sophisticated flavor with suggestions from "Cook's Illustrated" for roast beef with boursin and arugula on sourdough, or prosciutto with goat cheese and radicchio on olive bread. 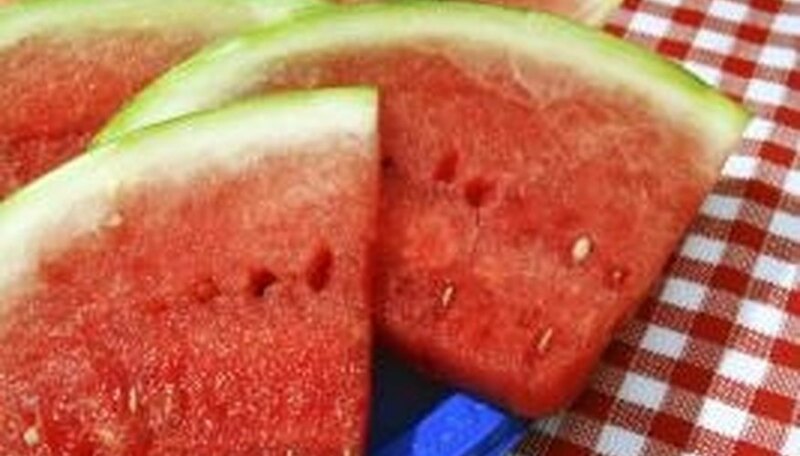 If you and your sweetheart enjoy simpler foods, prepare picnic classics such as fried chicken, potato salad and watermelon slices. Finish the meal with a sensuous dessert. Chocolate-covered strawberries are fun to feed to each other, and homemade cookies or brownies are unfussy but delicious. Your picnic beverage should pair well with the food you've selected, but more importantly, reflect your partner's tastes. A nice sauvignon blanc might go perfectly with your salad, but serve beer instead if small-batch brews are her passion. Freshly made lemonade makes a terrific nonalcoholic option, especially dressed up with slices of fresh strawberries or crushed raspberries. If you're short on time, purchase some cans of your love's favorite soda, seltzer water or beer and toss them in a cooler. A beautiful, relaxing spot allows you and your partner to feel at home while enjoying your meal. Rendezvous in a favorite nearby park, or have a private picnic in your own backyard, where you can steal a kiss with nobody watching. The grounds of art museums and botanical gardens are often gorgeously landscaped, and you can enjoy the cultural attraction before or after your meal. To generate ideas, search local news sites; newspapers often run stories about the best picnic sites, and university publications may list the most romantic spots on campus. For evening picnics, a spot with a view of a sunset provides an enchanting backdrop. Your food may be delicious and the setting lovely and secluded, but finishing touches take your picnic over the top. Choose a pretty tablecloth, such as a red-checkered classic, for your spread, and set out some flowers in a vase or jar. For all-out elegance, use your best linen tablecloth; pack up the good china, silver and candlesticks; and create a formal table setting on a picnic table. Pineo, Cindy. "Ingredients for a Romantic Picnic." Dating Tips - Match.com, https://datingtips.match.com/ingredients-romantic-picnic-8562171.html. Accessed 22 April 2019.